Hold your breath because the first ever superhero blockbuster featuring a Chinese protagonist is about to happen thanks to Marvel Studios. 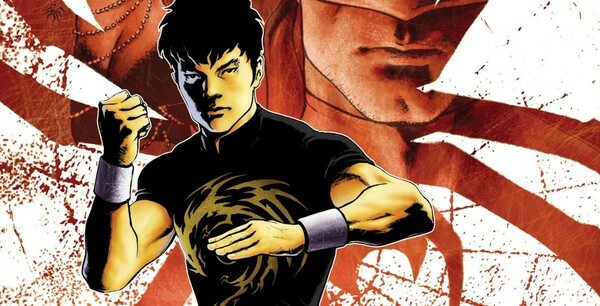 The upcoming Shang-Chi (上氣) film is reportedly Marvel’s plan for more diversity on the big screen following the success of Black Panther and Captain Marvel. Fans are already anticipating the casting of Shang-Chi, rolling names like Eddie Peng (彭于晏), Daniel Wu (吳彥祖), Steven Yuan, and Wu Jing (吳京) off their tongues. However, it seems like Marvel fans really want The Alien star Mike Moh to play the role of Shang-Chi, as does he. Mike’s retweet and prayer hands emoji suggests his appreciation for the support and the possibility of playing Shang-Chi. Recently, actor Patton Oswalt also nominated Mike to play the leading man in a tweet and tagged Marvel’s Twitter handle. The two’s actions set off a hot discussion, and fans are eagerly awaiting Marvel’s casting choices. Shang-Chi was actually one of the original ten-movie line up Marvel had in store for 2005, but it was later eliminated along with Hawkeye <鷹眼> and Power Pack. However, Marvel President Kevin Feige eventually revived the project, and called on Dave Callaham, the co-writer of Wonder Woman 1984 <神力女超人1984>, to write the screenplay. Afterwards, Asian-American filmmaker Destin Daniel Cretton signed on board to direct the movie. The kung fu master, Shang-Chi, made his comic book debut in 1973 following the popularity of Bruce Lee (李小龍). Created by Steve Englehart and Jim Starlin, the character is the son of Fu Manchu. Although Shang-Chi is like Black Widow, and does not possess any super powers, he has the ability to keep up with those who do. Because of this, his father portrayed him as a “living weapon,” but when he grew up, he rose up to fight against his immortal crimelord and sorcerer of a father. Proficient in traditional boxing, nunchaku, swordsmanship, and other martial arts, Shang-Chi ultimately joins the Secret Avengers. Comic version looks like Eddie Peng. Anyway must be chinese? After all for hollywood asian means chinese, japanese, korean. If this is the pool then it is wider. For sure must speak americanised english. Maybe but will hollywood invest in someone unknown to them? Whoever it is it will be someone young, ready to commit to several films, physically attractive, can speak english like native, tall (6 feet no less) and can act and bankable. Whoever it is this will be the role under heavy scrutiny and role of a billion lifetimes. It won’t be someone in china, that’s my feeling. Steven Yuan is the Korean actor in Walking Dead. My personal choice would be Lewis Tan. He really can fight and he’s good looking. Ludi Lin is also a good choice since he is also proficient in martial art. I’ve read Shang Chi’s origin story. He’s actually of mixed blood. His mom is a British lady. So, mixed look actors can also be considered. But, given the PC atmosphere in the US, I wonder if there will be an uproar if a non pure Asian looking actor is casted. I mean, representation and diversity is very important issue nowadays in Hollywood. Some people even make a fuss when a white actor is cast as Iron Fist even though Iron Fist is white in the comics. @kidd maybe a wide interpretation as to what Asian mean. Lead may still be chinese but the rest a mix of other asians. An Indian somewhere perhaps. And all. Speak American English. What about Aarif Lee who played the young Bruce Lee a few years ago? 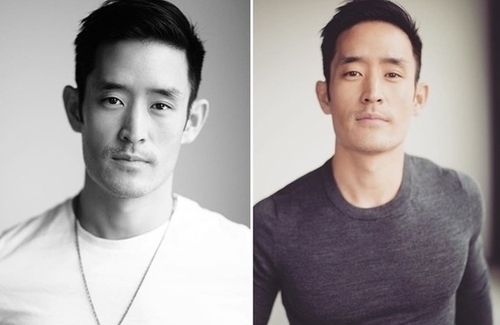 I think he can play that part of Shang-Chi with ease, plus he speaks perfect English, he’s of “mixed blood” and so handsome!! Maybe Aarif can even write an original score or song for the movie. He is also is a gifted composer, singer and performer. @ace818 no offense but he’s notnrugged enough to be believable as a no super power hero and not looking innately righteous. But who would have thoight that specific actor could be king of wakanda. But no. But, Shang Chi does look like Bruce Lee nowadays. One of the artists who drew him modeled his look after Bruce Lee.